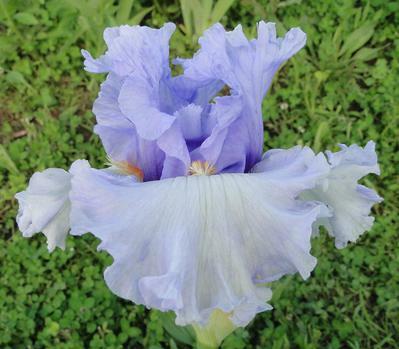 Dance Recital-(Keith Keppel-2005)-Tall Bearded Iris-36 Inches tall-Medium Bloom Season-Heavily laced standards light violet blue. Heavily ruffled falls pale blue aging to near white. Beards grenadine red. 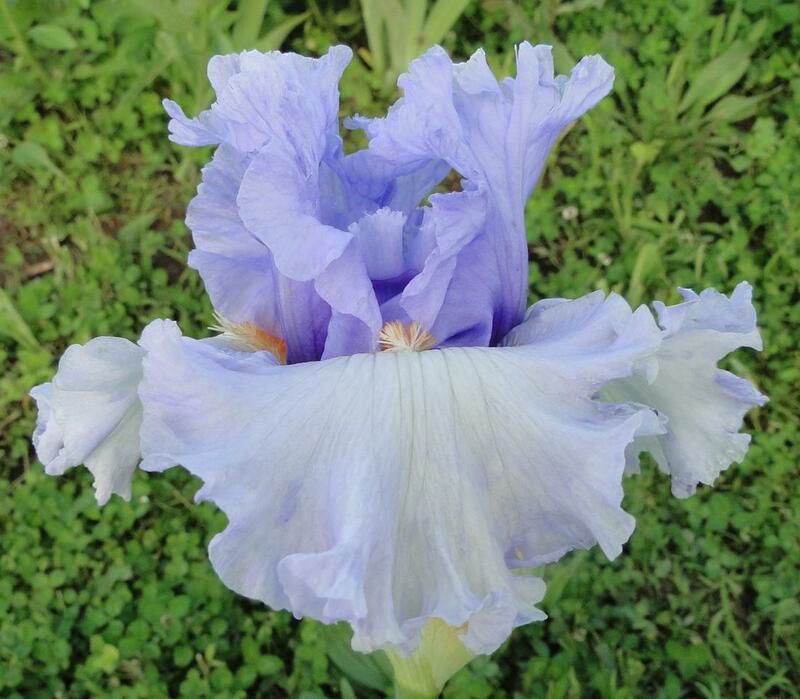 Absolutely beautiful reverse bicolor.